Pro Quality Home Improvements, Inc.
Belloso's Construction & Landscaping Corp.
All State Leaf Guard, Inc. The Brothers That Just Do Gutters HV, Inc. Comment: I have wooden gutters that have rotted and need repair/replacement along with some wooden trim that has fallen off the house. Then need paint. Comment: I would like to receive a quote for new gutters on a new garage with office above, and connecting breezeway/mudroom. I am happy to send plans. We are breaking ground next week, so our timing is probably a month to a month and a half out. Thank you. Bedford Hills Gutter Cleaning & Repair Services are rated 4.79 out of 5 based on 545 reviews of 23 pros. 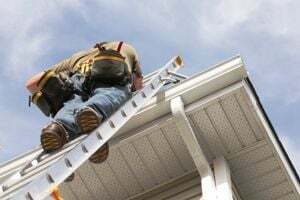 Not Looking for Gutters Contractors in Bedford Hills, NY?